Bak-Anime, a local Bakersfield anime convention, attracted a crowd of thousands Feb. 6-7 at the Marriott. The crowd showed up early on Feb. 6 and surged all day long. On Feb. 7, there was a significantly smaller crowd, but the energy level remained at fever pitch until the closing ceremony. The crowd was a collection of characters from every genre and all media. Those characters ranged from Beetlejuice to the Terminator, and from Lady Deadpool to Inuyasha, and even The Doctor from Doctor Who. One of the main attractions was the video gaming room hosted by Extra Life, the local chapter of the nationwide charity organization based on the CSUB campus. The gaming room sported an impressive array of game consoles laid out with screens for people to use at their leisure. CSUB alum and staff member Ed Webb, 50, of Bakersfield has been inspired to bring pixels of joy to as many hospitals as he can. “I really like working with the hospitals, so that’s the direction I’m going in,” Webb said. Extra Life is specifically a gamers’ charity. Their primary activity is placing game consoles in hospital rooms where terminally ill or otherwise long suffering children can use them. 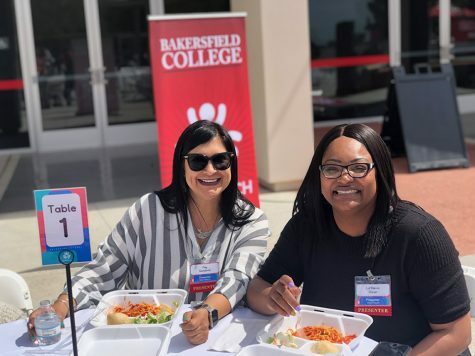 Extra Life is currently working with Bakersfield College’s Student Government Association to plan an event on the BC campus. “So we invited some of BC’s SGA down to CSUB to see what we are doing, and they liked it,” Webb said. “They said, ‘Yeah, this is amazing, we want to do something like it.’ They have said they wanted to do something small at first to ‘get their feet wet’ so they have a lower goal then ours. They’re trying to make $1,500; we are going for $20,000. But I told them if the campus finds out what you are doing, you will destroy that goal. SGA’s Chad Hidalgo confirmed that an event called “Extra Life BC” or, alternatively, Gamer Day, will take place April 30 starting at noon and running until 6 p.m. It will include as many as a dozen classrooms filled with game consoles and other gamer paraphernalia. General admission, including a snack, will be $15, and upgraded admission, which includes a snack, pizza and a drink, will be $20. The event will benefit Lauren Small Children’s Hospital. 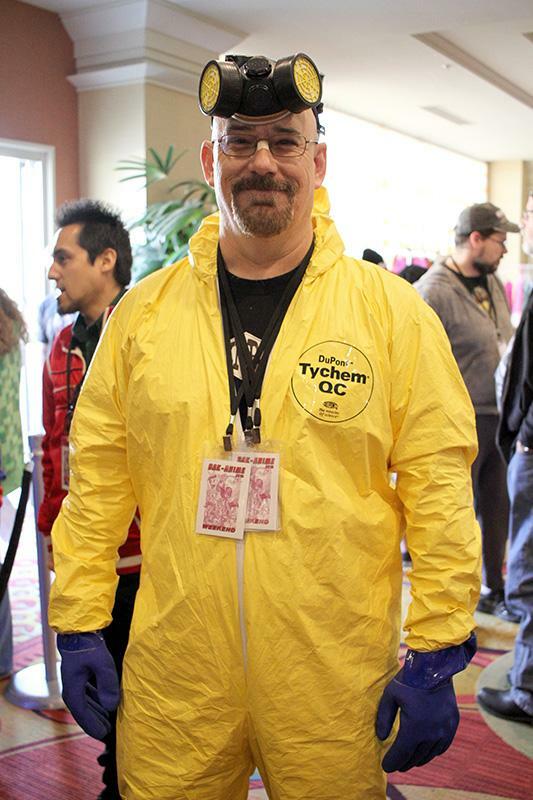 Steve Wyatt, 51, of Bakersfield, is the man behind Bak-Anime. He has been hosting conventions for nine years and is not in it for the money or the cosplay. 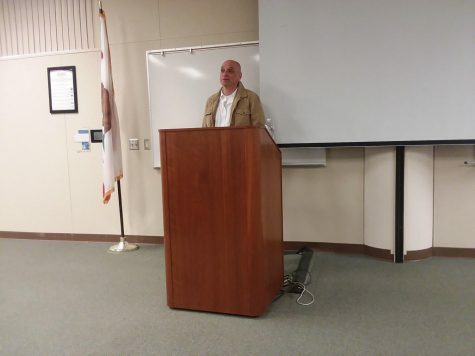 Wyatt decided to start hosting Bak-Anime because there was nothing going on at the time for anime fans here in Bakersfield. “I got up on a microphone at an event that was happening around the same time and I said, ‘Everyone who wants an anime convention [in Bakersfield] meet me in the lobby.’ When I got out there, the lobby was full of people. So I got in touch with Sac-Anime because I know those guys too, and said let’s do this together,” he said. “I’m not against cosplay, but look at me! I don’t see myself pulling off anything other than Comic Book Guy from The Simpsons, and that’s already every day of my life, so what’s the point?” he quipped. Wyatt explained why he thinks cosplay is so popular at a convention. “Cosplay to me is people having fun,” he said. The guests this year included Johnny Yong Bosch of the Mighty Morphin Power Rangers (the Black Ranger). He brought his band Eyeshine, and they performed on the evening of Feb. 6 to an enthusiastic crowd. Also in attendence were Tony Fleecs, an artist best known for his work on “My Little Pony”; Ali Hillis, an actress whose credits include “Beverly Hills Chihuahua” and the new CBS drama “Criminal Minds: Beyond Borders,” and, Roger Jackson, best known for his work as the voice of “Ghostface” in the Scream films, who demonstrated many of his favorite voices, including Darth Vader. At the convention, former BC student Erick Main, 40, was an ever-present figure in the main hallway. Main was representing the 501st Legion, a “Star Wars” fan organization that seeks to organize the various Stormtrooper and Boba Fett fans into one recognizable unit with some kind of purpose. “It’s about the kids, and it’s about the hospitals, and it’s about cancer research,” he said. “We all have our personal reason why we do it. Plus it’s cool to dress up as a ‘Star Wars’ character,” he said. Main added that everything he does would be impossible without his team and emphasized that point heavily as he left. Weird how this story about an anime convention does not have anything about anime in it. How can an anime convention be immersive? That quote that says how many people at the convention said that it was just seems like a blatant lie because of there being no names included and how wrongly the word immersive was used.